After campaigning for the restoration of democracy in Kenya during the 1990s, she served as a member of Parliament and Assistant Minister for the environment and natural resources between 2003 and 2005. Maathai was born 1 April 1940 in the Nyeri District in the central highlands of Kenya. She is a member of the Kikuyu – the most populous tribe in Kenya. When she was young, her family moved to the Rift Valley, where her father worked on a white-owned farm. Her early experiences of living close to the land remained a strong motivation for promoting conservation of the natural landscape. At the age of 11, she was sent to a Catholic boarding school where she became a Catholic. During her childhood, the Mau Mau uprising sought to achieve Kenyan independence from the British; however, at the boarding school, she was protected from the violence. In 1960, she gained a scholarship to study in the US. She gained a master’s degree in biology from the University of Pittsburgh. She later studied for a doctorate at the University of Munich. In 1969, she returned to Nairobi where she became the first East African woman to receive a PhD – which she gained in veterinary anatomy. Maathai’s academic career was successful, and she became the first woman to be appointed to various positions of seniority at Nairobi University. Using her position of influence, she sought to campaign for equal benefits for the female staff. Many of these campaigns were successful. In the mid-1970s, Maathai became concerned about the impact of environmental degradation on the economic and social fortunes of Kenya. Deforestation was causing landslips and more frequent droughts. Poor harvests and lack of rainwater, exacerbated inter-tribal conflict as people were forced to fight for meagre resources. She felt protecting the environment would prevent many of these economic and social problems. In 1974, her husband became an MP, and Maathai sought to support his promises to find work for the rising number of unemployed. It was at this time, Maathai made her first attempt to create a foundation for planting trees. A lack of money limited its initial success, but her efforts were rewarded with gaining a trip to the 1976 UN conference on human settlements. Here Maathai advocated more tree planting to improve environmental conditions. After the conference, Maathai led a movement to plant trees throughout Kenya. This became known as the Green Belt movement and has become a prominent environmental organisation supporting conservation and tree planting across Africa. The Green Belt movement was supported by the Norwegian Forestry Society and Maathai later gained a job as coordinator. 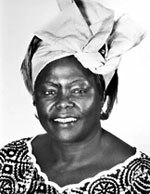 In the early 1980s, Maathai was elected chairman of the National Council of Women of Kenya (NCWK). She held this position until she retired in 1987. The NCWK was a collection of women’s groups. Under Maathai, it became increasingly focused on environmental issues. Maathai later talked about her motivation for caring about the environment and humanitarian issues. “I don’t really know why I care so much. I just have something inside me that tells me that there is a problem, and I have got to do something about it. I think that is what I would call the God in me. In the early 1990s and 1992 in particular, Maathai was also the focus of pro-democracy protests. Her group was targeted by the government who disliked her opposition to their rule. On one occasion, Maathai with other protesters, went on hunger strike to protest against building on a public park. The protesters were violently removed. Maathai spoke about the difficulties of political life in Kenya during the 1990s. Wangari Muta Maathai – Unbowed, p. 206. She later served a vice president for the Movement for Free and Fair Elections. The pro-democracy protests of the 1990s were relatively successful and in 2002, Maathai stood as a candidate for the National Rainbow Coalition. The incumbent government were defeated and, in January 2003, she was appointed Assistant Minister for Environment and natural resources. —The Norwegian Nobel Committee, in a statement announcing her as the 2004 Nobel Peace Prize winner. Talking in 2004, she said that here activities were seeking to promote peace through the avoidance of potential conflict. Maathai was one of the founders of the Nobel Women’s initiative along with others, such as Jody Williams, Shirin Ebadi, Betty Williams. Maathai died in 2011 from complications arising from Ovarian cancer. She had three children (Bangari, Sangari, and Mangari) She separated from her husband, Mwangi Maathai in 1977 and divorced in 1979. Citation: Pettinger, Tejvan. 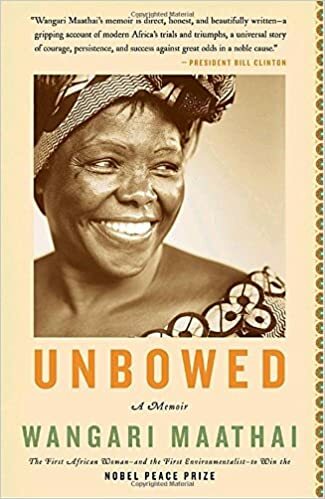 “Biography of Wangari Maathai”, Oxford, UK – www.biographyonline.net. Published 12th Aug 2014. Last updated 3rd April 2017. 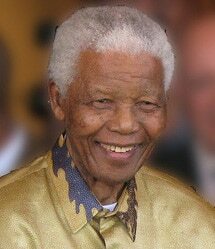 Famous Africans – A list of famous Africans. Includes Nelson Mandela, F.W. De Klerk, Haile Selassie, Archbishop Desmond Tutu, Anwar Sadat, Kofi Annan and Wangari Maathai.